Retreading can save you anywhere from 30 to 50 percent per tire compared to new leading brand tires. However, quality retreaders will not retread a tire that hasn’t passed a careful inspection. This makes protecting your tire casings crucial, and doing so is as simple as having a preventive tire maintenance program in place. Maintaining proper tire inflation levels is one of the most important things you can do to preserve the durability of your tire casings. Underinflation not only can lead to faster wearing and loss of traction in turns, but it also leads to increased flexing and subsequently increased heat buildup, causing damage to the casing’s structure. This can also hurt your fuel economy since underinflated tires force a vehicle’s engine to work harder. Add a tire pressure check to your pre and post-trip inspections to ensure your tires are properly inflated. Many factors can influence a tire’s wear and tear, including their position on the vehicle. Most trucks will experience more wear and tear on their rear drive tires faster than their front drive tires. This is due to the truck using the front tires to pivot on turns, which causes the rear tires to scrub and experience more stress. Periodical tire rotations can help equalize wear on the tires, extending their lifespan and maintaining their integrity for future retreads. Steer tires should be rotated side-to-side, while drive tires can be rotated from the front axle to the rear axle, side-to-side across the axle or even crisscrossed. An easy way to incorporate tire rotations into your preventive regimen is to have your tires rotated when you’re already in-bay for service. Tires catch everything on the road, from salt and chemicals to debris and other small hazards like nails and glass. Premature tire wear is often caused by one of these hazards but frequently goes unobserved until the tire is removed. One preventive step you can take to preserve your tires is to wash them anytime you wash your vehicle. You should also inspect your tires for visual clues of damage before and after each trip. Another way to reduce premature tread wear is by reducing aggressive stopping, starting and turns, which can produce excessive wear on your tires, as well as other truck components. Tires also have recommended maximum speeds – abiding by these can also help prevent unnecessary wear. Lastly, in order to preserve your tires for retreading, it’s crucial to pull them from service when the remaining tread gets to 4/32nds. Waiting any longer will increase the likelihood of casing damage, therefore reducing any chance of retreading those tires. 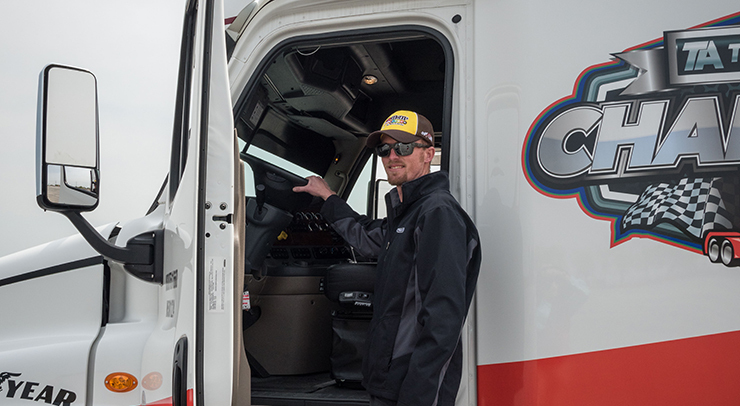 Tires may be one of the largest operating expenses for fleets and owner-operators, but using retreads effectively can reduce a business’ operating costs. Proper maintenance is fundamental to the longevity of your tires, especially if you plan on using your own casings for retreads. 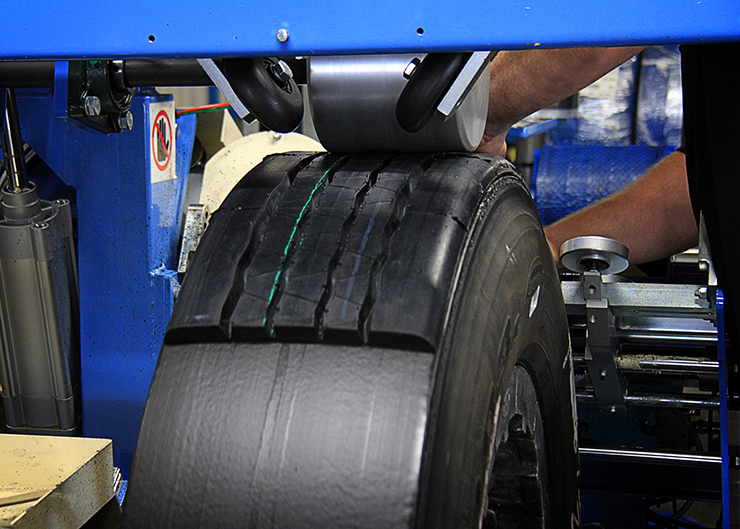 Maintaining proper inflation, completing regular tire rotations and avoiding road hazards can help ensure you will have a solid casing to retread.